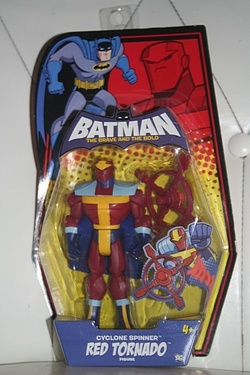 We'll keep the Batman BandB train rolling today with another basic figure from the line, Red Tornado with Cyclone Spinner! Another figure with solid design and bold colors, you just can't go wrong with these guys. Now I guess I need to catch a few episodes of the cartoon so I know what's been going on! Click the image below for more shots of this next figure in our series.